Leading the way in innovative Side-by-Side vehicle technology is Honda's Pioneer™ 700-2 and for 2017 Honda has developed a model just for Australia to suit the unique farming conditions down under. The Pioneer’s rugged and solid construction is supported by long-travel suspension of 200mm in front and 230mm in the rear which provides a plush ride with class-leading stability. In addition to a fully independent rear suspension, the rear shocks feature preload adjustability to handle the Pioneer’s generous load capabilities. Equipped to carry 454 kilograms or tow 680 kilograms, Honda’s Pioneer is ready for the toughest work. Exceeding previous Side-by-Side vehicles, Honda’s two seat variant, the Pioneer™ 700-2 boasts all of the same revolutionary features as the four seat variant but instead of the fold-down in-bed seating, it features a conventional hydraulically-assisted tilt bed. The Pioneer’s Occupant Protection Structure has been built out of sturdy, large diameter tubing and includes details such as integrated handholds, recessed top tubes and a more spacious structure to enhance protection. It also meets OSHA's 1928.53 rollover protection standard. Ready to tackle the toughest Australian terrain, the compact dimensions of Honda’s new Pioneer offers high level of manoeuvrability and the impressive turning radius will get the Pioneer out of any tight spot. Please note overseas models show, any accessories shown are not standard. 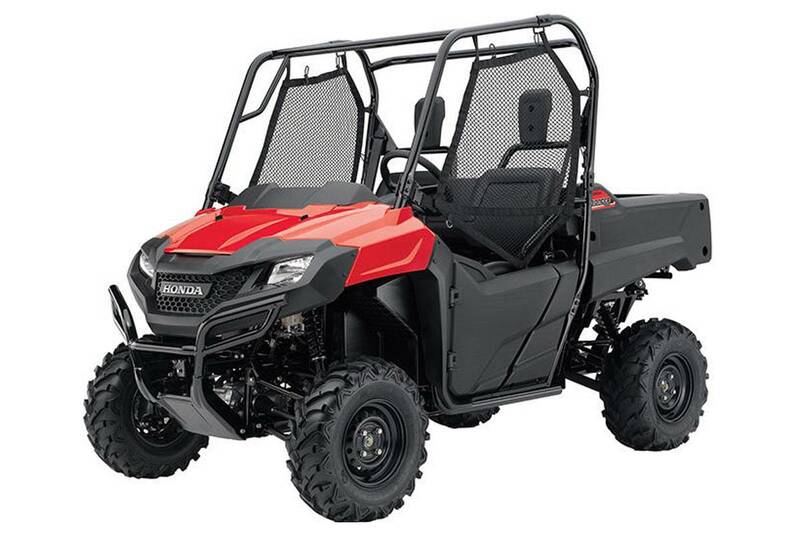 Honda is pleased to announce that the introduction of the Pioneer™ 700-2 and Pioneer™ 700-4 into Australia has been confirmed and they will be available in October 2014. Honda MUV700 and Pioneer is recommended for drivers 16 years of age and older, and tall enough to wear the seat belt properly and reach all the controls. The passenger should also be tall enough for the seat belt to fit properly and brace themselves, if needed, by placing both feet firmly on the floor while grasping the hand hold.